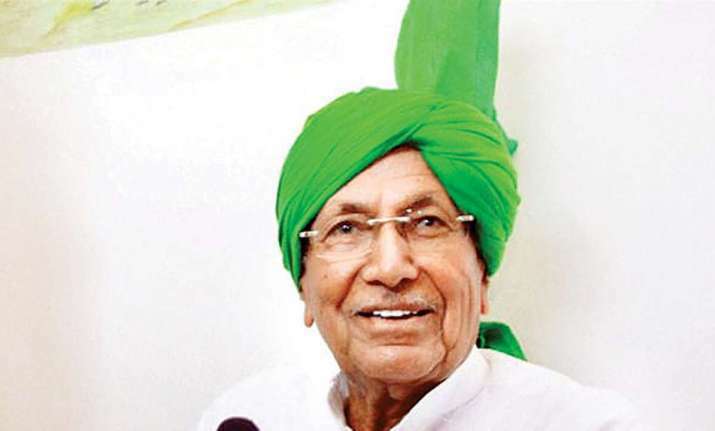 The Enforcement Directorate Monday said it has attached assets worth Rs 3.68 crore in Delhi, Panchkula and Sirsa of former Haryana chief minister Om Prakash Chautala in connection with a money laundering case against him and others. It said a provisional order under the Prevention of Money Laundering Act (PMLA) has been issued to attach these immovable properties. The ED's money laundering case is based on a Central Bureau of Investigation FIR against Chautala, his sons Ajay Chautala and Abhay Chautala and others for possessing alleged disproportionate assets and they have been charged under the Prevention of Corruption Act by the latter agency. The ED said the CBI probe found that Chautala allegedly "acquired" assets of over Rs 6.09 crore between May, 1993 to May, 2006, which were disproportionate to his known sources of income. The agency said his elder son Ajay Chautala also faces the same charges of possessing disproportionate assets worth over Rs 27.74 crore and second son Abhay Chautala allegedly having similar assets to the tune of more than Rs 119 crore. "PMLA probe revealed that Chautala had acquired immovable properties at New Delhi, Panchkula and also constructed a residential house at Sirsa in Haryana out of the money received from undisclosed sources," the ED said in a statement. "Investigation also revealed that Chautala was directly involved in acquisition and projecting various tainted properties as his untainted properties," it said. "He (Chautala) had also disclosed properties so acquired in the affidavit filed before the returning officer in the Haryana Assembly polls in 2005 and 2009, thereby, projecting publicly the tainted properties as untainted," the statement said. The ED, in 2013, had similarly attached Chautala's assets worth Rs 46.96 lakh and it subsequently filed a charge sheet against him in July last year. The total attachment in this case stands at Rs 4.15 crore and further investigation is underway, the statement said.